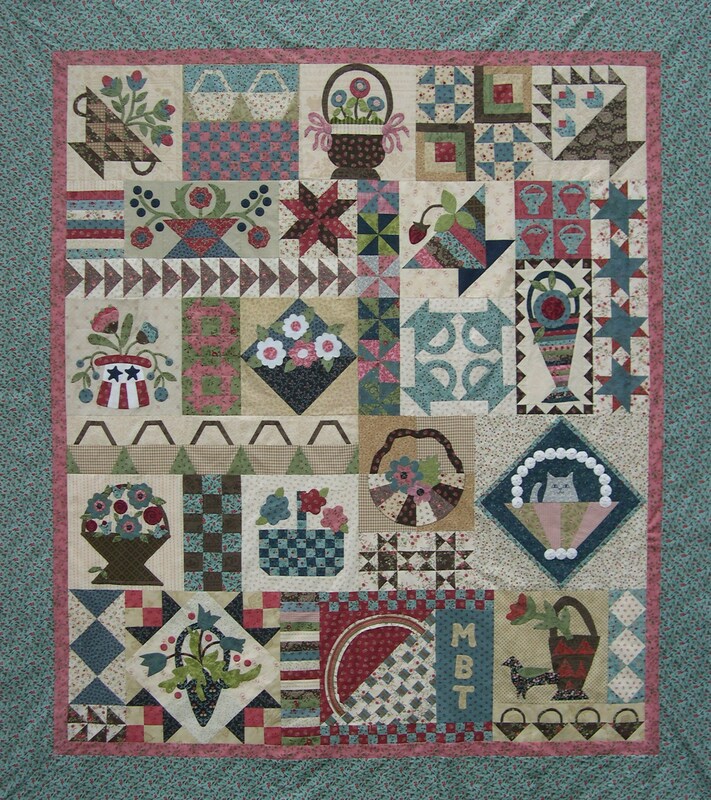 These blocks are from Moda's 2007 Piece and Plenty Block-of-the-Month . The theme is baskets, and each block was designed by one of Moda's fabric designers. The patterns were originally designed to go with Blackbird Design's Madeira fabric line. But I have observed as I have travelled to various quilt shops that carry this mystery block-of-the-month that each shop is free to pick the fabrics they want. I received my monthly kits from Hearts and Pines Country Quilts online shop. I, too, have chosen to substitute fabrics as I have gone along. Hover your mouse over each thumbnail to see who the designer is or click on a block to start a slideshow. There are 15 designer blocks and additional filler blocks. See the picture below to see the completed quilt top. Look at my Designers Baskets page to see the completed top.